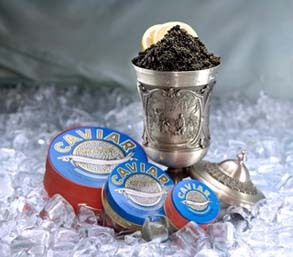 For Centuries people depended on wild nature as the only source of caviar. All this time they have been dreaming to find a way to harness to process of caviar production to become ultimate masters in the business, but serious technological difficulties made this an extremely hard and more frequently impossible task. Only recently did a few companies succeed in making their own caviar. Caviar Court is one of these pioneers working at the edge of modern technology. The water in the systems undergoes serial stages of treatment that include mechanical filtration, violet infra rays, biological reaction filtration, aeration and disinfection. This approach guarantees complete isolation from harmful environmental factors such as pollution and infection. 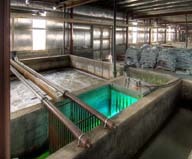 Al Faris Caviar Aquaculture boasts a "state of the art" caviar and fish processing plant.